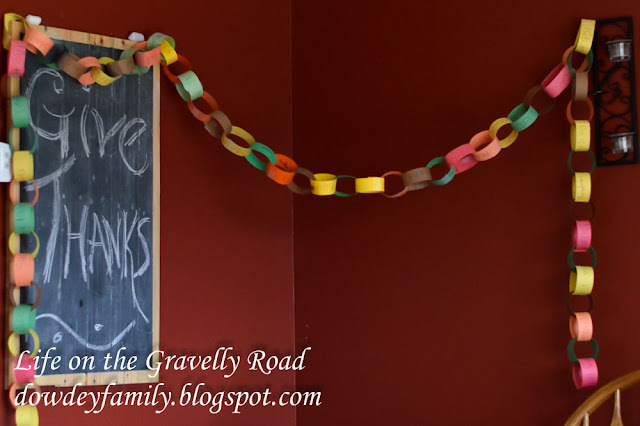 The kids are hoping we can get enough added to our chain to make it around the dinning area. It amazing to watch the chain get longer each night. Happy Thankful Thursday from our family on the Gravelly Road.